This will be one of the best experiences travelling around the enchanted Galapagos Islands with the Darwin Yacht which is a Superior Class boat and you will have the opportunity to choose one of the best tours from 4 to 8 Days cruisse. Crew: 6 people + 1 English speaking naturalist guide. 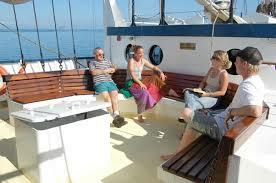 Eight double cabins with air conditioning, private bathroom and hot/cold water. 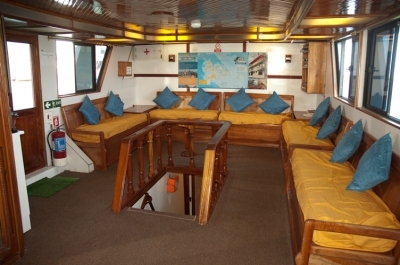 Double cabins with berth, private bathroom, hot/cold water and air conditioning. The rooms are located on the UPPER DECK. 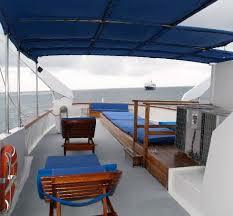 The rooms are located on the MAIN DECK. 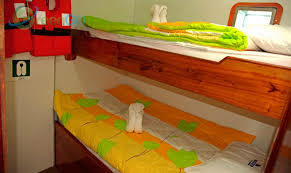 The rooms are located on the LOWER DECK. ASK FOR OUR LAST MINUTE PRICES!